Oncology is a branch of medicine that deals with the diagnosis, treatment and prevention of cancer. A specialist doctor who specializes in the field of oncology is called an oncologist. With 150, 000 people diagnosed with cancer yearly, the demand for qualified oncologists is also high. Here are top 5 oncologists in Lahore based on internet search by users in Lahore. With over 35 years of experience, Dr. Durrani is one of the leading oncologists in Lahore. He has the following advanced degrees; AFSA, Medical Oncology (France), DMRT (clinical oncology). He is also an accomplished academic residing as an assistant professor in the Petie Salpetrier Hospital Paris, France.He currently practices in Wazir Habib Cancer Hospital, Lahore. You can book an appointment with him through oladoc.com! Dr. Najam Ul Hassan is one of the most qualified oncologists in Lahore. Dr. Najam Ul Hassan has the following degree(s): MBBS, MD, DCP(KE), RCP(UK), SCE (Medical Oncology) and has 10 years of experience. He offers a wide range of solutions for any cancer related concerns. He currently practices in Iqra Medical Complex, Lahore. Dr. Abdul Hameed is an experienced professional in the field of oncology and hematology. He has 12 years of experience in his field and has the following advanced degrees; MRCP (UK), MD (Ireland), FRCP (Edin). He provides a range of solutions for all kinds of blood disorders with a special interest in Lymphoma, Leukemia and Multiple Myeloma. He currently practices in Ittefaq Hospital (trust), Lahore. Dr. Abbas Khokhar is a qualified oncologist who is also the head of department at Mayo Hospital, Lahore. He currently practices in Omar Hospital and Cardiac Centre, Family Hospital and Midcity Hospital, Lahore. He is also the Assistant Professor in Department of Oncology and Radiotherapy at King Edward Medical University. Book a hassle-free appointment with him through oladoc.com. 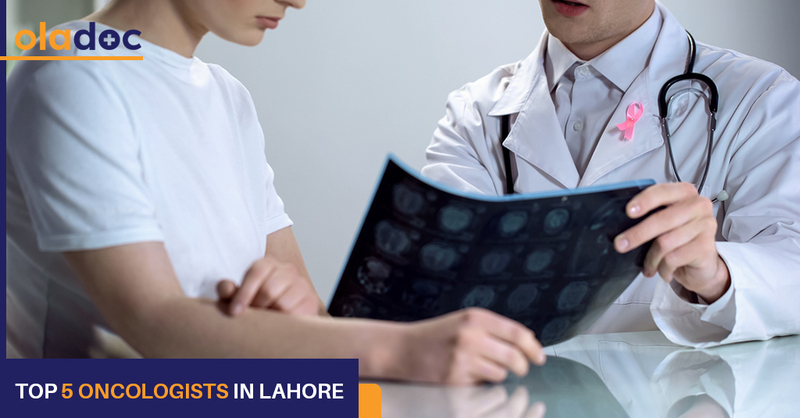 Dr. Shahin Rashid is one of the top oncologists practicing in Lahore. She is a DMRT qualified medical professional and gives comprehensive medical advice on a range of cancer-related issues. She is currently practicing in Ramzan Syed Ali Hospital, Lahore. An appointment with her is just one-click away! To know about other oncologists in Lahore, please visit Top oncologists in Lahore. You can review the Oncologists profiles and search for a Specialist by Locality and Gender as well. In addition, you can check for a doctor’s practice locations, schedules and even book an appointment online. You can also call our helpline at 042 3890 0939 for assistance to find the RIGHT Doctor for your health concerns.